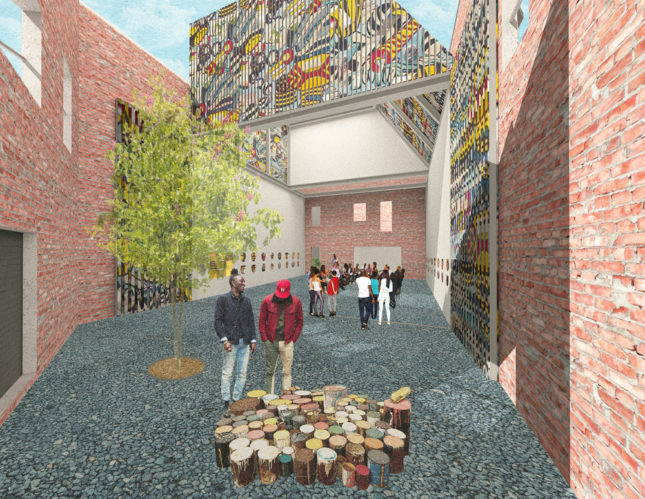 Lorcan O’Herlihy Architects (LOHA) has released renderings for their proposed renovations and expansions to the studio and museum created by celebrated Detroit-based artist Olayami Dabls. 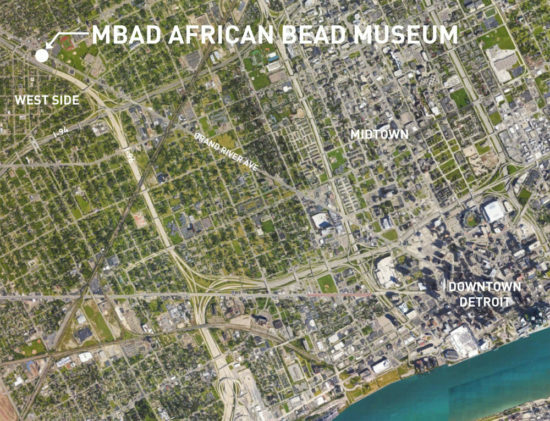 The proposal aims to revamp and modernize the mostly ad-hoc MBAD African Bead Museum where Dabls’s signature African bead art is installed. Dabls’s evocative work is installed throughout a mostly vacant block and on the surfaces of several of that block’s remaining homes and shops. The artist uses a palette of what he considers to be universally-understood materials—iron, rocks, wood, and mirrors—to create visually complex sculptures that pay homage to African material culture by exploring the themes of family, ancestry, and community. The installations are the by-product of Dabls’s nearly 50-year-long career during which he has appropriated the vacant and derelict land on this site to host his monumental works. Dabls’s studio is located in what once was a row of townhouses and is now one of the few remaining structures on the block. 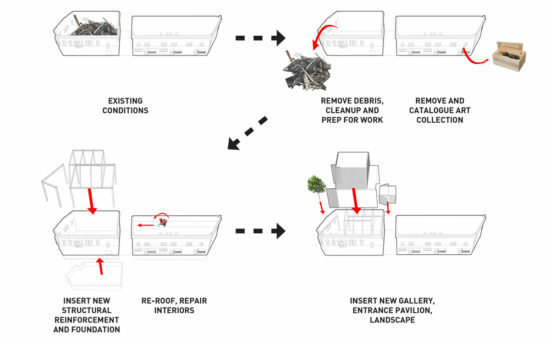 LOHA’s proposal takes the currently-collapsing roof off of the corner storefront building adjacent to Dabls’s studio and converts that currently-unoccupied structure into a sculpture courtyard and enclosed gallery with new blank surfaces for the artist to work upon. 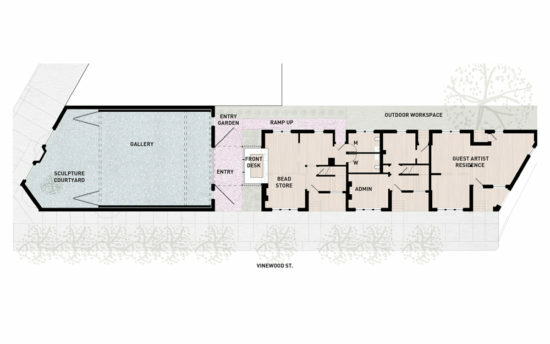 The museum’s entrance will be located between the two structures, adjacent to a new entry garden. The current studio’s collections will be removed and catalogued. The structure will be converted in phases into a bead store, museum administration, and a studio and residence for visiting artists. 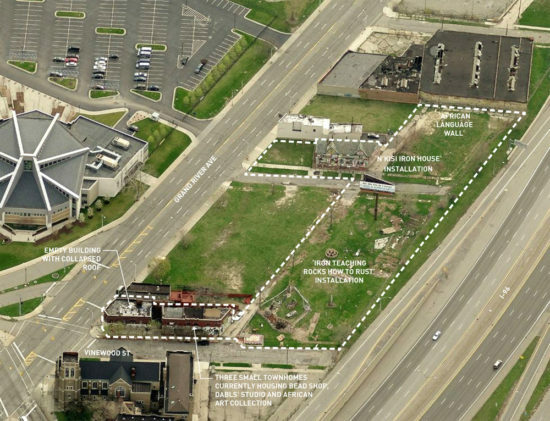 The remainder of the site is to be re-organized to include walking trails and open space highlighting Dabls’s 18 siteworks. 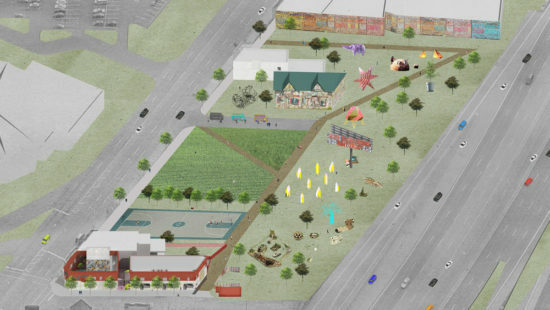 Dabls’s major installations, Iron Teaching Rocks How To Rust and N’Kisi Iron House, will be surrounded by new tree plantings as well as other sculptures. The artist’s African Language Wall, a 50-foot by 20-foot installation located along the wall of a neighboring building, features richly ornamented calligraphy, with words from Africa’s many written languages written across the brick expanse, and is to be the centerpiece of the campus. Dabls’s work, including a selection from his collection of African beads, is currently being exhibited at Henry Taylor’s in Los Angeles, by appointment. 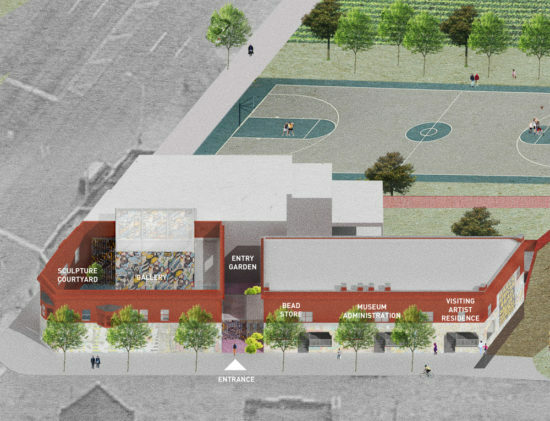 Renovations to the museum are being paid for in part by a $100,000 grant from the Knight Foundation and from the proceeds generated by Dabls’s exhibition in Los Angeles.